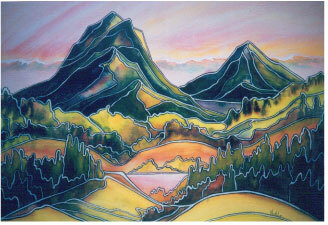 Born in the small prairie town of Oxbow, Saskatchewan, Noble has drawn and painted since early childhood. Painting is a large part of her life, one she finds necessary and enjoyable. A serious selfâ��taught artist with her own distinctive style, she paints the vision, beauty and images that run through her artistic mind. 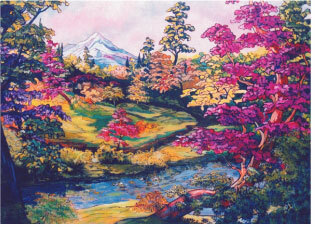 Working in oil, watercolor, acrylic, pen and ink as well as computer art she paints the beauty and wonder of the West Coast. 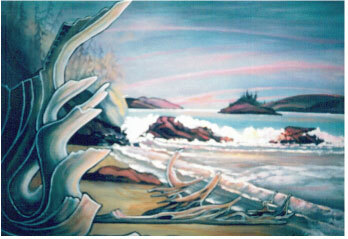 After moving to Victoria in 1985, the ocean views and totems inspired her. 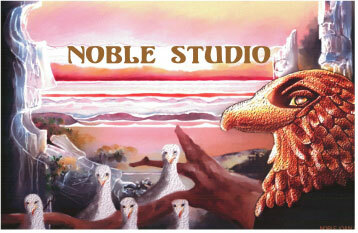 Noble has exhibited and demonstrated with the Saanich Peninsula Arts and Crafts Society. She is a member of The Victoria Arts Council and The Community Arts Council of the Saanich Peninsula, where she has exhibited in shows and on Studio Tours. She a founding member of the Arts and Cultural Highway Accord. An award winning artist, her work has been chosen for the Arts Councilâ��s Christmas card mailing list in 1998, and was chosen as the â��Peopleâ��s ChoiceÂ�Efor a mural in Sidneyâ��s 1998 Gallery By The Sea. She is also a member of The Society of Friends of St. Annâ��s Academy Victoria. work can be seen at "She Said Gallery "2000 Fernwood Ave. Victoria B.C. Canada. In 2009 painting choosen for Hyro box GREEN BIRDS on 5th. st.Sidney by the sea. The Artist resides in Sidney-By-The-Sea with her family, and paints full time in her Bradford Ave Studio, which can be viewed by calling (250) 656-9891 for an appointment. Victoria BC. â��BeachwoodÂ�E18 x 24, oil on canvas. This is the artistâ��s whimsical representation of Long Beach, Vancouver Island. â��Up The MountainÂ�E36 x 48 acrylic on treated plywood. This piece was voted â��Peopleâ��s Choice the â��Gallery By The Sea,in Sidney BC. â��Jade Watercolour on 300 lb Arches (Full Sheet) Once again Noble uses her inner vision to enhance her work based on an outer vision. â��Vision Of JapanÂ�Watercolour and ink on Â½ sheet 300 lb Arches. 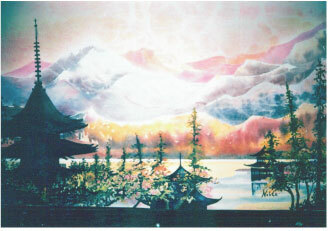 Having never been to Japan does not stop this artist from expressing her version of its beauty.